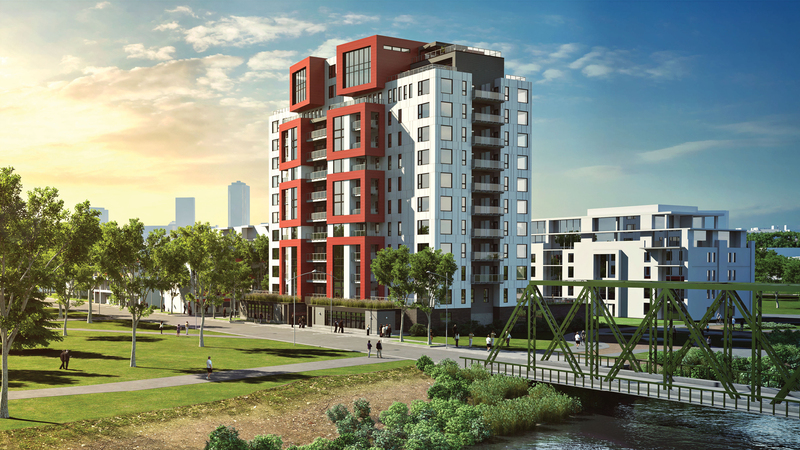 Nordic Structures is in the final planning stages to build the 13 story tall Origine apartment building in Quebec City. After 18 months of planning and testing, the apartment block is getting ready. According to Global Construction Review, Origine will be made of 7-layer black spruce CLT panels and finished with an aluminum facade. Yvan Blouin Architecte is the architecture firm responsible for designing the building. 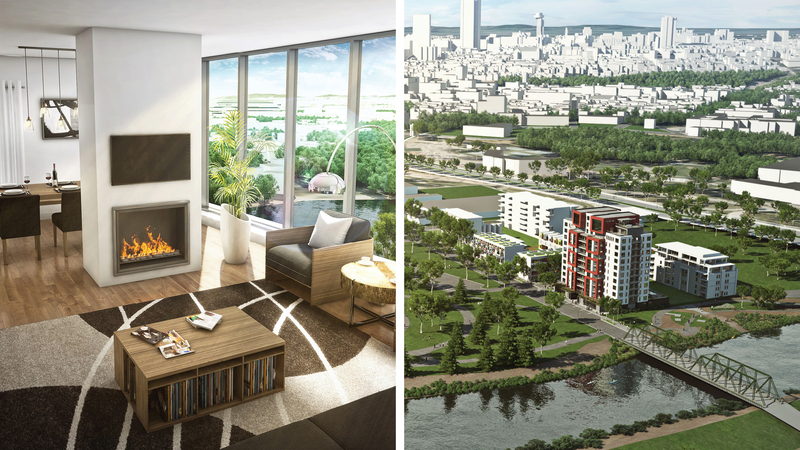 It will contain 94 one-, two-, and three-bedroom apartments and will be located in Quebec City’s Pointe-aux-Lièvres eco-district. Read more about Origine at Nordic Structure’s project page.